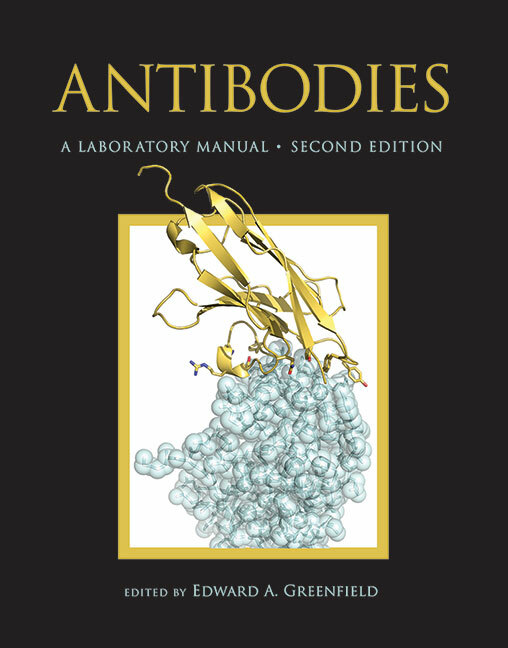 As Dr. Greenfield notes in his preface to this second edition: "The Antibodies manual provided our laboratory with guidance in the form of protocols and recommendations for setting up a hybridoma facility. Everything we needed to know to make a monoclonal antibody was all there, neatly packaged in an easy-to-understand book....the second edition is intended to provide the necessary information and protocols to assist investigators with their first monoclonal antibody effort as well as to provide guidance for more experiences antibody makers who are having some difficulties with a particular project." What's New in This Edition? I have the first edition. Why should I buy the second edition? While the core of the first edition appears in updated and recast form in the second edition, more than half of the second edition contains entirely new information and protocols to reflect the changes in the field since the first edition. To whom is this edition addressed? Is this a book for immunologists? As with the first edition, the second edition provides information and protocols for both the neophyte and the experienced investigator. It dissects the mysteries of producing the antibodies and reagents you need for your experiments with the needs of molecular biologists in mind. It is the perfect book for new members of your lab as it has sufficient background information to provide context as well as clear, step-by-step instructions for performing the needed experiments—both the why and the how for these techniques. And if things go wrong, there is extensive troubleshooting to diagnose the problem. Are the protocols in this book better than those available for download on the Web? Many of the protocols available on the Web are perfectly good, but there are many that are not. Reagents are expensive and deadlines are tight. CSHL Press manuals provide protocols that have been formulated and tested in the labs of leading investigators in the field. They are reliable and they work. And they include the context and troubleshooting information that many online protocols do not have. More information is available about Antibodies at a preview site for the book: http://antibodiesmanual.org/.